← Robin Williams is forever! Adapted from Bankim Chandra Chatterji’s classic novel Anandamath, the period film’s objective is to bring focus on what is perhaps the first-ever Indian revolt against the British. 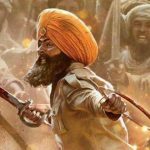 Against such severe backdrop and frame of mind begins the story of Sannyasi rebellion. 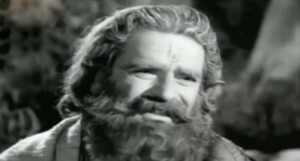 The ascetics or santan sect is a monastic albeit militant society, led by Satyananda (Prithviraj Kapoor), observing abstinence of every kind to fulfill their single-minded goal of freeing the mother (motherland) from the clutches of British. Anand Math follows a distinctly spiritual chain of thoughts. In today’s time it may seem, depending on the viewer’s level of sensitivity, antiquated or overtly profound. Hemant Kumar’s earliest works for Hindi cinema lends Anand Math the rich strokes of stirring sounds that become its inspiring soul. During the course of British brutality, Satyanand takes a ruined King Mahendra (Bharat Bhushan), his wife Kalyani (Ranjana) and their infant daughter under his wings. 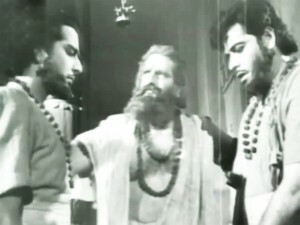 Mahendra joins his ascetic cult along with Satyananda’s chief disciples Jivananda (Pradeep Kumar) and Bhavananda (Ajit) when he believes Kalyani and his girl to have died from poison consumption. In Satyananda’s absence, as he travels far and wide accumulating man force to stand up to enormous British armies, Kalyani is secretly taken in Bhavananda’s care who’s clearly distracted from his mission by her attractive (even if indifferent to him) presence. Meanwhile, Jivananda asks his sister to raise Kalyani’s daughter. 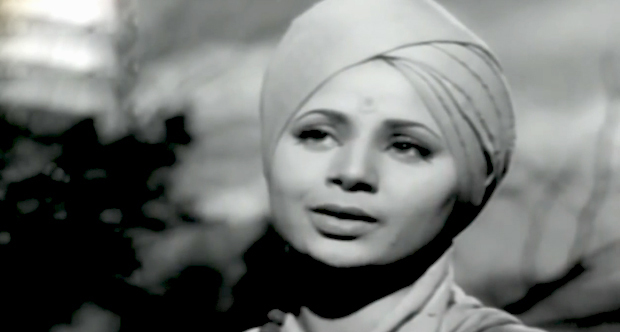 Here the track shifts to Jivananda and his wife, Shanti (Geeta Bali), childhood sweethearts craving for each other’s company but bound by duty and oaths. 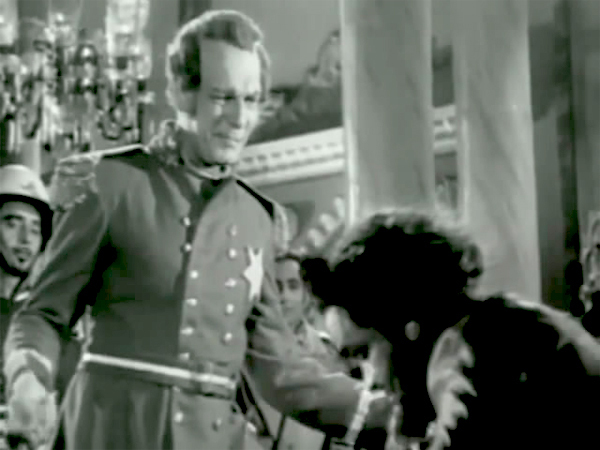 In a weak moment, he succumbs to her warm embrace, which, as per the Santan doctrine, is punishable by death. 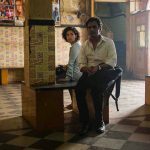 The dilemma of a married couple unable to stay together, unwilling to stay apart is captured believably in Pradeep Kumar and Geeta Bali’s spontaneous distress. Even when she comes to terms with her fate, Shanti doesn’t mop around. 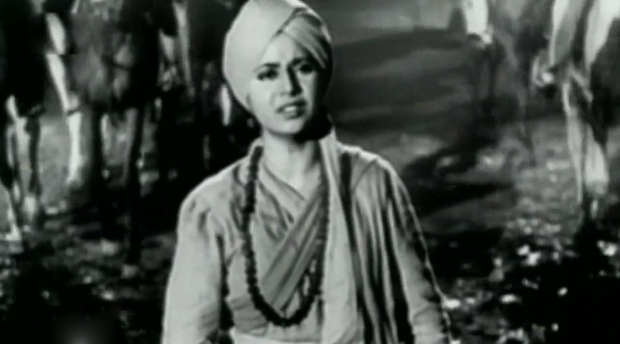 Instead, dressed up as a young monk, she participates in her husband’s revolt against the British even to the extent of sneaking inside the enemy camp to seek information –a perfect opportunity for Geeta Bali to showcase her comic prowess. Often though, Anand Math‘s simplified portrayal of complex relationships robs the narrative of the heft it means to project. Hemen Gupta who also directed the acclaimed Balraj Sahni-starrer Kabuliwala, constructs the third act around niftily executed battle sequence between the Santan and the British. 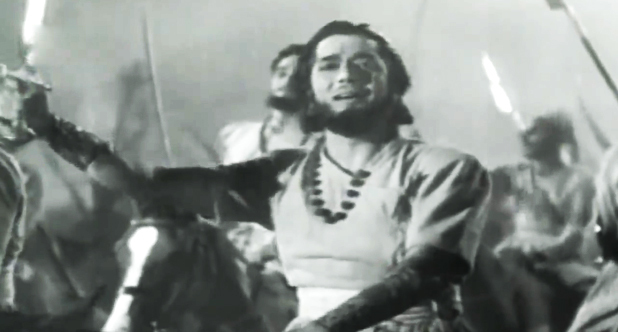 The battle scenes may not possess the grandeur of Sohrab Modi’s Sikandar but conveys the zeal of a driven underdog. The sensibilities and sacrifices of men and women from the 18th century do not correspond with the liberal but pragmatic outlook of today. But the ethics and essence behind the freedom every individual wants to enjoy remains the same. Even as Shanti wails the loss of her dear one, Anand Math underscores the value of purpose above person — this small-scale uprising will trigger large-scale revolutions for years till the nation finally becomes free. Yet there’s a tinge of sadness as a voice bemoans in the background “lekin Vande Mataram kahan?” Even I would like to ask the same. This entry was posted in Classics, Columns & Reviews and tagged 18th century, ajit, anand math, bankim chandra chaterji, geeta bali, hemant kumar, hemen gupta, india, Lata Mangeshkar, pradeep kumar, prithviraj kapoor, vande mataram. Bookmark the permalink.